First we went to Kiri Vehera. After that we went to Tissamaharama. From there we went to Kirinda Viharaya.Again came back to Tissamaharama & went to Debara Wewa. First we went to see the family we gave new house in last year. 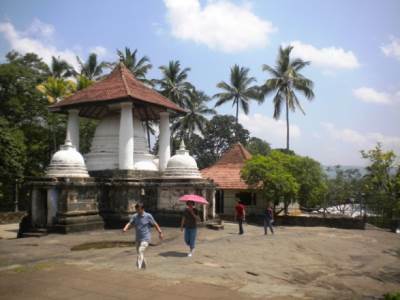 We spent some time with them & came back to Tissamaharama Viharaya after visiting 4 important places. Again long awaited August vacation came. We decided to arrange a tour like last year we do. But due to little one’s school home work & other work the trip day by day got delayed. But finally we managed to start our trip on August 22. This time we focused to cover important places in Wellawaya , Buttala , Katharagama , Monaragala , Lahugala & Ampara area. 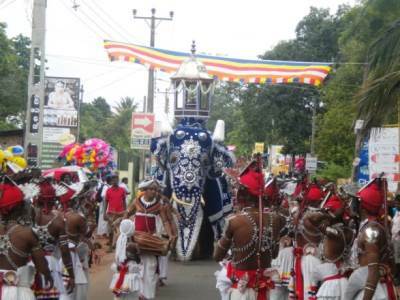 Veediyagoda Raja Maha Viharaya very famous in Bandaragama area. Every year they have very proud & colorful “Esela Perahera”. It was one of the most important & large “Perahera” in the area of Raigam.